The Observatory of Paris is the leading astronomical institution in France in terms of staff and budget size, as it represents one third of the astronomical resources in France. Its activities cover all the major research topics in astronomy and astrophysics, as well as having teams carrying out atomic and molecular calculations. It is involved in large Space and Ground Instrumental Projects for Study of Stars, Planets, Interstellar Medium, ExoPlanets. It has links with Space Agencies CNES and ESA. It is composed of five science departments and several common services, among which a central infrastructure called VO Paris Data Centre. VO-PDC federative the departments and the computer centre of Paris Observatory and maintains an infrastructure including computing power linked to the EGEE grid, storage facilities and servers. Paris Observatory is strongly involved in e-infrastructures activities covering many disciplines in astrophysics, and especially those fields where international standards are currently being defined (molecular physics, solar physics, planetary science, etc.). In addition OBSPARIS has a strong Teaching Unit called UFE with an extremely wide range of teaching actions at Masters Levels M1 and M2, at Doctoral Studies, at the Universities Level (L1 to L3) through on-line teaching targeting any type of students (even citizens), has a School Teacher Unit, a Media Unit in Astronomy. OBSPARIS has a natural attraction role with citizens through its own media unit and organisation of many outreach events [http://www.grandpublic.obspm.fr/Visits]. OBSPARIS is part of the new research infrastructure PSL* including Université Paris-Dauphine, Chemistry High School, etc.. providing in-house inter disciplinarity. The Paris Observatory VAMDC members are involved in the political coordination of the “VAMDC Consortium” and in the technical coordination of the “VAMDC e-infrastructure”. They are involved in defining the standards, the quality procedures, in developing software librairies and tools, in monitoring the VAMDC e-infrastructure, in providing tutorials. The Observatory of Paris has led the VAMDC and SUP@VAMDC EU projects. The Virtual Atomic and Molecular Data Center is a consortium of services & databases. Among the currently available databases, OBSPARIS hosts the BASECOL, Stark-B, TipBase, Topbase, SESAM databases. BASECOL is devoted to collisional ro-vibrational excitation of molecules by colliders such as atom, ion, molecule or electron. It is supervised by an international working group of molecular physicists and astrophysicits involved in the calculations and use of ro-vibrational cross-sections, in order to ensure the continuity and the quality of the database. Stark-B is a database of calculated widths and shifts of isolated lines of atoms and ions due to electron and ion collisions. TOPBase lists LS-coupling energy levels, gf-values and photoionization cross sections for astrophysically abundant ions (Z=1,14; Z=16; Z=18; Z=20; Z=26) computed in the Opacity Project. TIPBase lists fine-structure levels, A-values, collision strengths and effective collision strengths for astrophysically abundant ions, mainly from the Fe isonuclear sequence computed in the Iron Project. SESAM is a joined project of LUTh (Laboratoire Univers et Théories) and LERMA (Laboratoire d’Etudes du Rayonnement et de la Matière). Its purpose is to provide an atomic and molecular spectral database dedicated more specifically to electronic spectra. The structure of the database has been elaborated with the tools developed in the VAMDC (Virtual Atomic and Molecular Data Center) project. It maintains the VAMDC portal, the current “VAMDC Consortium” website [http://www.vamdc.org], the monitoring of the infrastructure and the replication of registries. 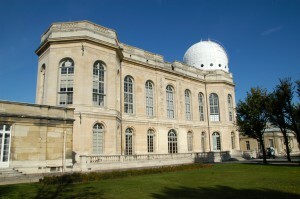 The science interests of the Paris Observatory VAMDC members include the theoretical calculations of collisional excitation rate coefficients for the interstellar medium and cometary atmospheres, spectroscopy of atoms and molecules, processus on surfaces for astrophysics, physics and chemistry of the interstellar medium. The VAMDC Team is part of the “Molecules in Universe” [http://lerma.obspm.fr/spip.php?rubrique20] section of LERMA [http://lerma.obspm.fr/] and of the “Interstellar Medium and Stellar Plasmas” section [http://lerma.obspm.fr/spip.php?article12].